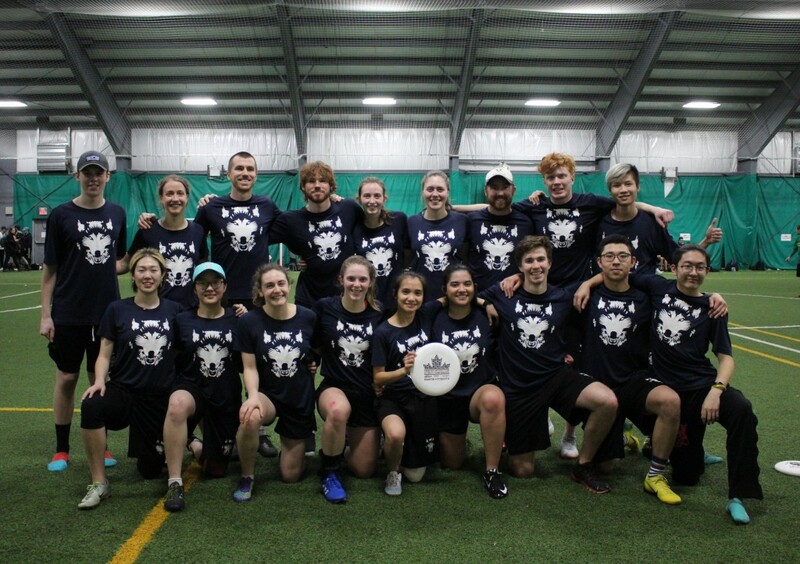 tournament of the Canadian Indoor Eastern University Series. The Women’s team played well on Saturday, finishing the day with a record of 4-0. Wins came against McMaster Y, Western X, Waterloo B, and Carleton A. Christine May, Michaela Bohunicky, and Lily Colquhoun’s defense throughout the matches was outstanding, and contributed to the undefeated record. On Sunday the Thunderwolves continued the win streak by taking down McMaster X, and qualified for the quarter-finals against Carleton A. The Raven’s hard zone defense was no match for the Thunderwolves offense, and Lakehead took the win 12-7. In the semi-finals the ladies were up against Western X. Lakehead easily won 17-5. Kity Zhang and Eve Yao connected multiple times in the endzone, contributing to Lakehead’s win. Club Women’s team finished the tournament in second place. indoor tournament the men participated in, so team chemistry developed throughout the event. 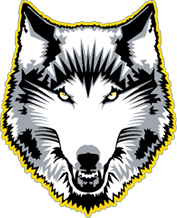 On Saturday the Thunderwolves finished with a record of 2-2. Mark Schutte finished Day 1 with a high of 11 goals and Will Kindy added 7. Patrick Berube and Zichen Cong’s enthusiasm and energy kept the Thunderwolves engaged. Sanderson’s defense was impeccable throughout the weekend. Captain Miki Antonijevic’s leadership style contributed to the team’s consistent energy and hard work. Tyler Beattie picked up a combined 18 defensive blocks between them. Miki Antonijevic, who missed the last two games, still managed to put up 13 goals, 17 assists, and 8 defensive blocks. everyone’s hard work and dedication, Lakehead was able to compete in 4 tournaments this season.